Managed Vs. Unmanaged Hosting; Which is the Best? Whether you choose to purchase or lease a dedicated server, someone will have to look after it to make sure everything runs smoothly. Many hosting providers offer a managed hosting solution aimed at business owners who lack an IT department to oversee things like end-to-end security, data center redundancy and data backup. The main benefit of a managed hosting solution is that a dedicated team of professionals will consistently monitor all vital signs of your network identifying potential threats before they have a chance to materialize. Does Your Website Need SSL? SSL (Secure Sockets Layer) is a standard security technology for establishing an encrypted links between a client and a server —typically a web server (website) and a browser/mail server and a mail client (e.g. Outlook). SSL permits sensitive information such as credit card numbers, NID numbers and login credentials to be transmitted securely. Normally, data sent between browsers and web servers is sent in plain text—leaving you vulnerable to eavesdropping. If an attacker is able to intercept all data being sent between a browser and a web server they can see and use that data. Several events have happened within the last year which has brought SSL to the forefront of many people’s minds. Some of those things include: Heart Bleed (Open SSL Vulnerability), POODLE (SSL v 3.0), AOSSL (SEO benefits) and the SHA-1 to SHA-2 Upgrade/Update. If you have a business that does any type of online commerce, your clients want to know that you value their security and are serious about protecting their data. More and more customers are becoming savvy online shoppers and reward the brands that they trust with increased business. The time to install SSL on your website or upgrade your SSL Certificate to an EV SSL Certificate (more about this below) would be better served now than later. How Web Hosting Companies Can Benefit from E-Commerce Solutions? Web hosting companies are forever in need of cost effective merchant tools that make simplify the checkout process. Web hosting companies hoping to build their deals and extend client reach in 2016 need just to do one thing: offer ecommerce solutions and online installment strategies to their clients. Online shopping is the biggest trend in retail right now, and do you know why? It’s suitable. 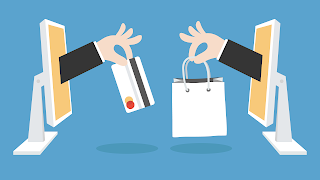 Shopping online makes the purchasing process endlessly easier on the customer: they can browse leisurely and easily from their own home, can complete a purchase in just a matter of minutes using only a credit or debit card and, many times, they can even avoid paying sales tax on items. For all these reasons, online shopping is, and will continue to be, on the growth in our country. Web hosting companies can capitalize on the growing popularity of online shopping by offering convenient and affordable ecommerce solutions to their customers. Specifically, they can sell their hosting packages, web management services, and other offerings in an easy-to-browse web store format, allowing shoppers to compare details, services, and pricing. Then, they can even enable online payment methods, making the purchase just a simple click away once the customer makes a decision. As many web hosting packages require a monthly or annual renewal fee, offering online payment methods can have additional benefits, as well, allowing customers to easily set up and configure a regular, recurring subscription. That implies, each month, three months, or at whatever point the client's bundle terminates, their membership will consequently reestablish, charging their unique installment technique. With this helpful administration, web facilitating organizations can hold more clients and keep any installment slips from happening. How Does the IP Address Affect Search Engine Rankings? Behind every domain name there is an IP address that acts as the real address. Domain names came into presence to be used as shortcuts for their complex IP address. From a Search Engine Optimization (SEO) perspective, an IP address tells the story about where a website is hosted. While websites hosted on dedicated servers get the advantage of having their own dedicated IP address, websites on shared hosting will have to share the same IP address hosted on one server with other websites or opt for SEO Hosting services. So, the answer to how to rank in search engines is simple—start with dedicated IP web hosting! Using a shared IP address can lead to a host of potential security threats and search engine discrimination. Depending on the web hosting provider and/or shared hosting plan, a website will often share an IP address with thousands of other websites. Not only does this significantly slow down the website, but it is widely speculated that websites with shared IP addresses will rank lower on search engines than websites with a dedicated IP. Can I Check If a Website Is Hosted on a Dedicated or Shared Server? Hosting on a dedicated server automatically gets you a dedicated IP, whereas shared hosting doesn’t. Some shared hosting providers are well aware of this distinction and offer the option of purchasing a dedicated IP. Despite having a dedicated IP, websites on shared hosting will still suffer the same disadvantages such as slow loading speeds and limited control. Even worse, purchasing a dedicated IP address on a shared server will not protect a website from being blacklisted when a neighbor website on the server is blocked for hosting illegal or pornographic websites. We have seen fantastic take up of our web hosting and cloud server since its launch in August 2016. Get connected to BDIX, fast and high-quality Internet backbones are highly reliable and fully integrated with the Internet backbones of the world providing excellent speeds. IF your target market is Bangladesh, hosting your localized site on a Bangladeshi IP will ensure your site is ranked more highly in local search engines as well as physically be closer to your customer base for improved access speeds. When you first start searching for hosting provider, you’re going to be overwhelmed with all the options. Truth be told, you'll most likely go out searching for any and all reviews that can help you choose. Don’t worry; it happens to all of us at some point in our journey to having a website. As you explore, you’ll also find that many of them loads of totally different options. In the end, there are some features that are non-negotiable.Today we’ll take a look at the five features you absolutely must have from your hosting provider and why you need them. If you see these five things, then you’re on the right path. The cost of a domain is relatively cheap, which means that you’ll most likely own more than one during your time as a webmaster. As part of your hosting plan, it would be most suitable if you could have multiple domains without the need to purchase a separate plan for each one. Most hosting providers will have the option for addon domains, which are different websites on the same plan. Look for this term when surfing and see how many additional sites your plan can support. As you can see, one looks far more professional than the other, so be sure to look for this feature. For businesses, an email with your domain is extremely important. Consumers don’t want to get an email from someone claiming to be associated with the business that ends with @gmail.com or @yahoo.com. Instead your business email should end with @yourbusinessname.com. The Internet is a large collection of separate networks. In order to establish end-to-end connectivity from one network to the other, they somehow need to be interconnected. An Internet exchange point (IXP) is a component of Internet infrastructure, set up for peering of ISPs among themselves for the purpose of routing the domestic traffic within the country, thereby resulting in better quality of service (reduced latency) and reduced bandwidth charges for ISPs by saving on International Bandwidth. In Bangladesh this service is provided by BDIX. What if your takes much time to load? WEBSITE PERFORMANCE OPTIMIZATION (WPO) technology can boost performance, enhance visibility, expand your user base and increase revenue. WPO technologies include: Intelligent Route Control, WAN Acceleration, TCP Acceleration, Content Delivery Networks and many more.